A postdoctoral position is immediately available in the group of Professor Dr. Frank Wehner, Department of Systemic Cell Biology (Prof. Dr. Philippe Bastiaens) at the MPI in Dortmund until December 31st, 2012. Our laboratory is studying the mechanisms of cell volume regulation and its role in proliferation vs. apoptosis. Special emphasis is given to channel mediated ion transport. The methods used include advanced fluorescence microscopy, scanning acoustic microscopy and electrophysiology, as well as biochemistry and molecular biology. The goal of the project is to reversibly arrest cells by optimizing cryo-conditions with the physiology of a system as a quality read-out. To this end, novel approaches will be developed for the real-time monitoring of the physiological properties of the cytoplasm under different thermodynamic conditions. The successful candidate should hold a PhD in biophysics, biochemistry or physiology. Applicants should have a strong background in at least one of the following fields: 1) electrophysiology (patch clamp), 2) live cell imaging, 3) cryo-biology of mammalian cells. The Max Planck Society is committed to employing more handicapped individuals and especially encourages them to apply. 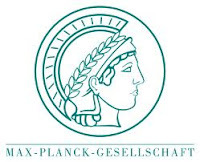 The Max Planck Society seeks to increase the number of women in those areas where theyare underrepresented and therefore explicitly encourages women to apply. Demikianlah informasi Postdoctoral Position in Cell Physiology at Max Planck Institute of Molecular Physioloy kami sampaikan, semoga bermanfaat.